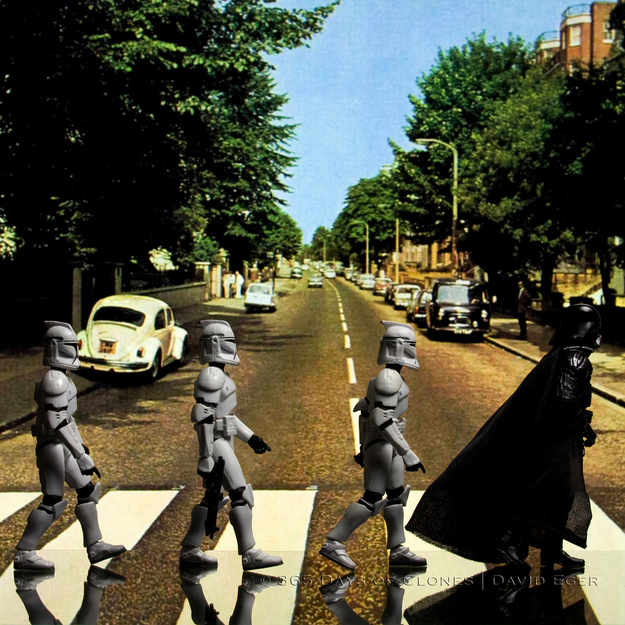 Clone Troopers tackle da Vinci, Muhammad Ali, Abbey Road, and more. 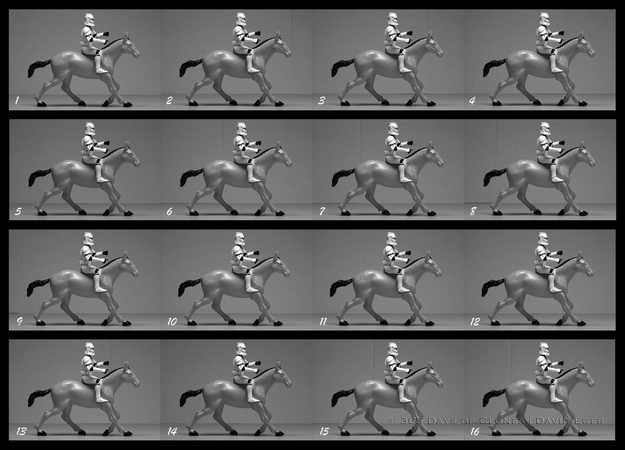 The Clone Troopers in Star Wars are remarkably multitalented guys. 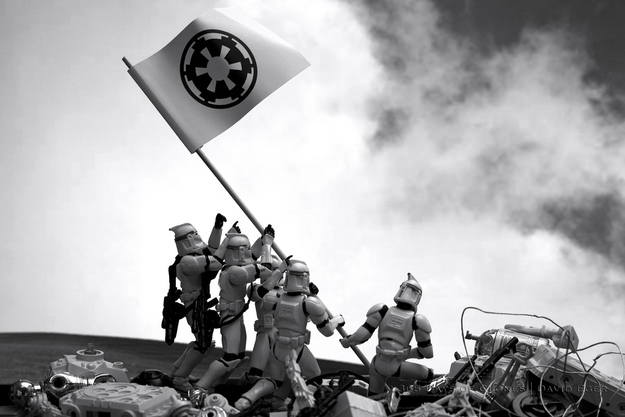 They've defeated legions of battle droids, carried out covert operations, installed a galactic despot, and raised the flag at Iwo Jima. If the last one doesn't sound familiar to you, it's probably because you haven't seen the "Cloned Photos" project by photographer Dave Egers. 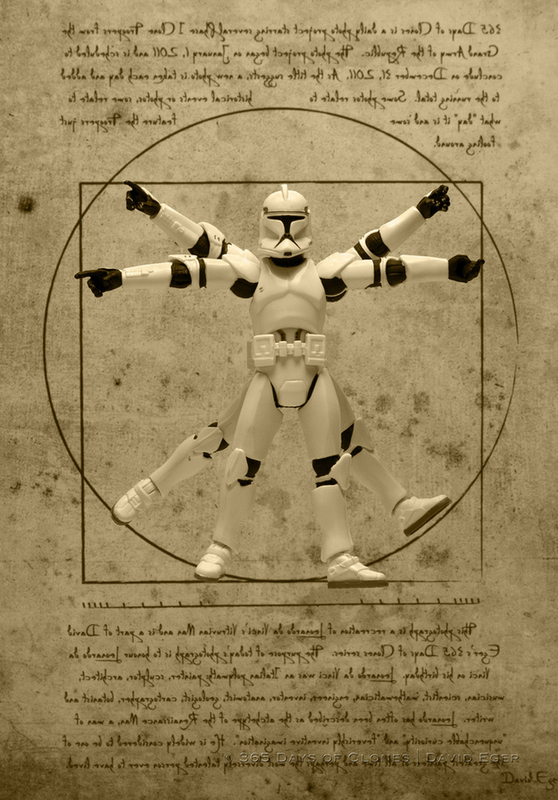 In his ongoing project, Egers has recreated some of the most iconic imagery in human history - from The Vitruvian Man to Abbey Road - and replaced the characters in question with Jango Fett's genetic progeny. The photos generally speak for themselves, although the sheer breadth of Egers's source material is impressive. 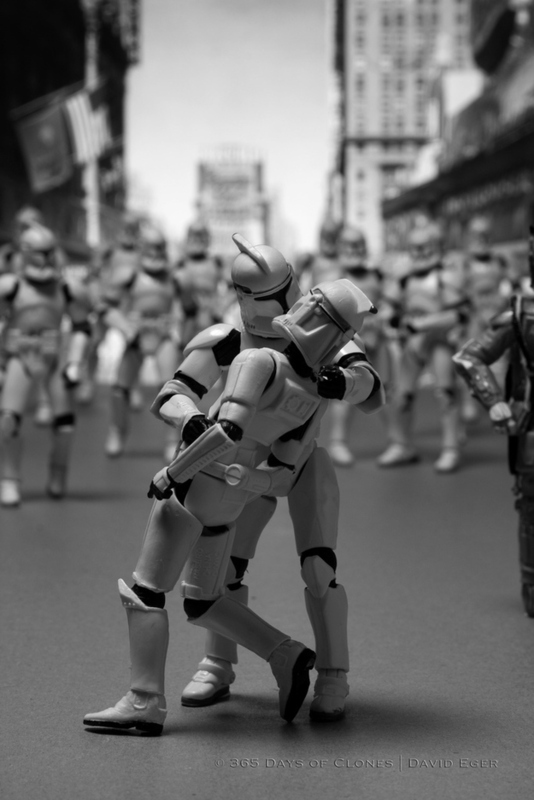 The Clone Troopers take part in an early zoopraxiscope feature, a boxing match, and a victorious kiss, among other things. 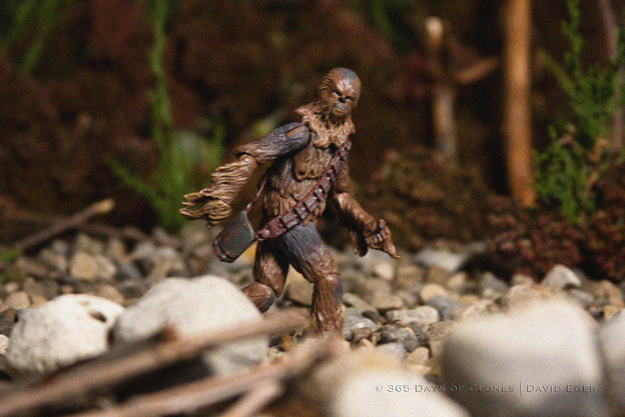 Even Chewbacca gets a cameo as a still from a famous Bigfoot film clip. Egers, whose bread and butter on Flickr is replacing popular photos and posters (such as Afghan Girl or Back to the Future: Part II) with Star Wars characters, was engaged in a project called 365 Days of Clones during 2011. To this end, he photographed a number of Clone Troopers posing, reenacting historical events, or just helping out around the house. After its completion, "Cloned Photos" came into being. Whether Egers is a mad genius or simply mad will be the subject of internet debate for some time to come, but if nothing else, it's interesting to see just how many things a creative person can do with a few Star Wars figures, a camera, and some editing software. Even if they did almost singlehandedly wipe out the Jedi order, you've got to admit that the Clone Troopers are not ones to shy away from trying something new.